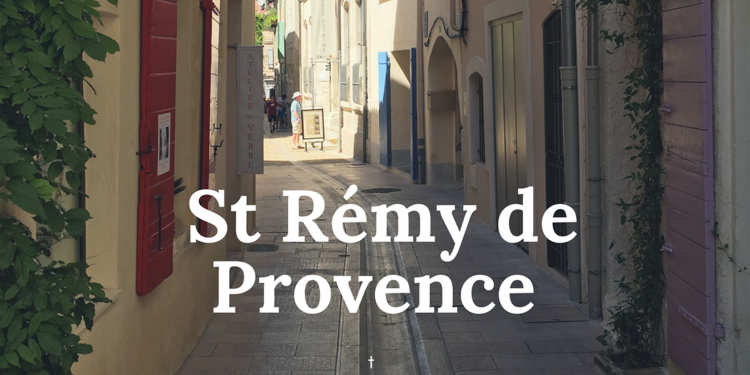 St Rémy de Provence is where my wife and I live part of the year and it’s one of the most charming towns in Provence. 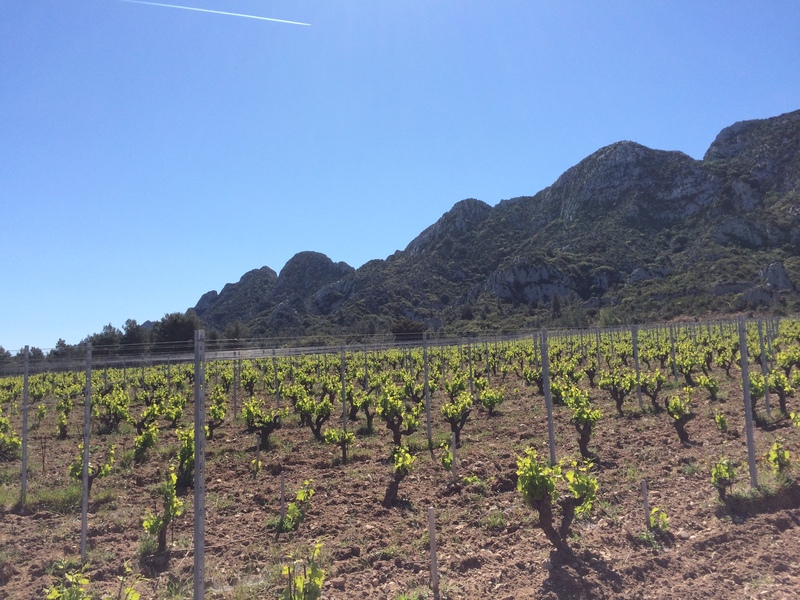 Nestled at the foot of the Alpilles Mountains and surrounded by vineyards and olive groves, it’s a great place to spend a few days. I’ve put together a list of some of my favorite things to do while you’re in town. 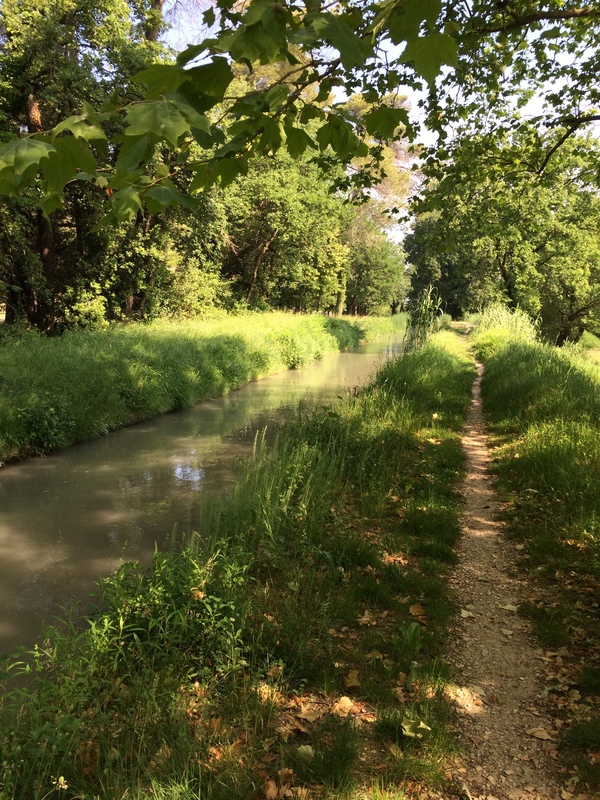 Just ten minutes from the center of St.-Rémy is a shady picnic spot known only to the locals. It sits along the shores of a lake created thousands of years ago by the Romans. 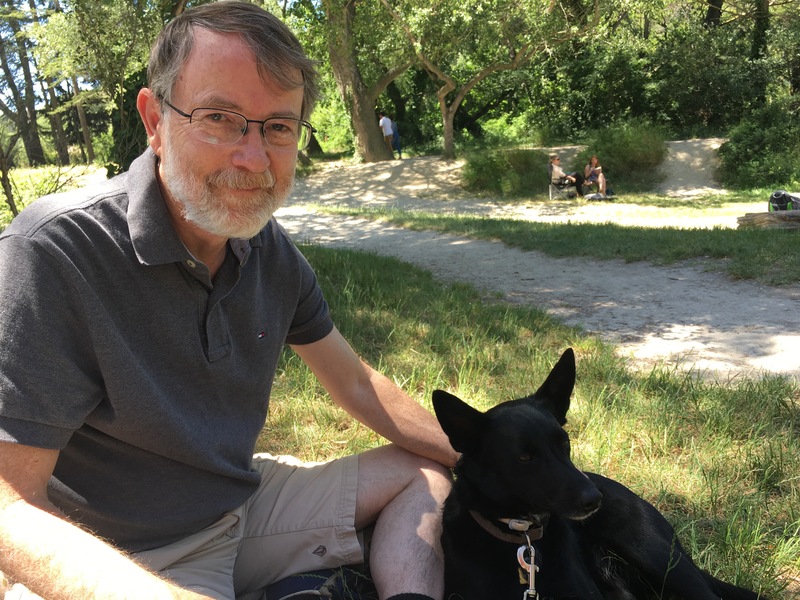 When hordes of tourists crowd into town, it’s nice to take a break in a quiet spot. So grab some wine and cheese and let’s go! 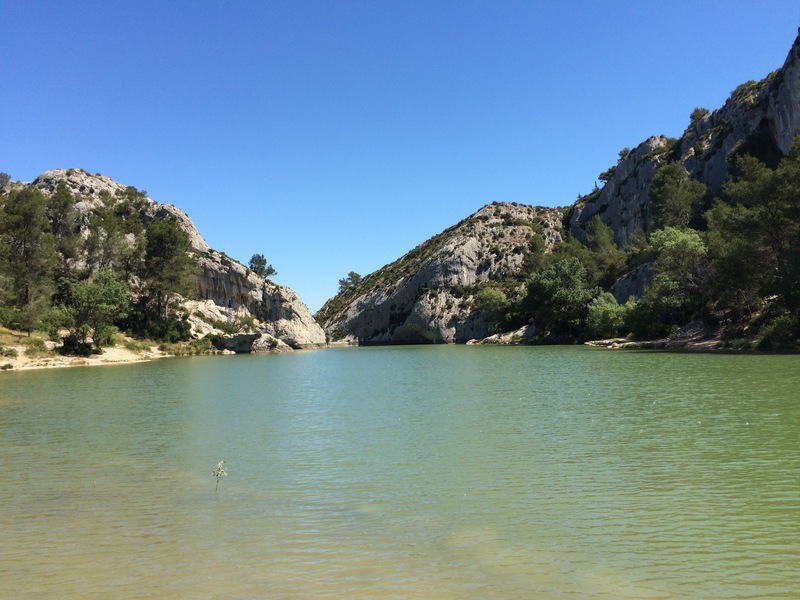 The Lac du Peiroou is a small reservoir, the result of a dam that spans two rocky outcroppings near the ancient city of Glanum. While the present dam was built a century ago, the original dam dates back to the first century B.C! 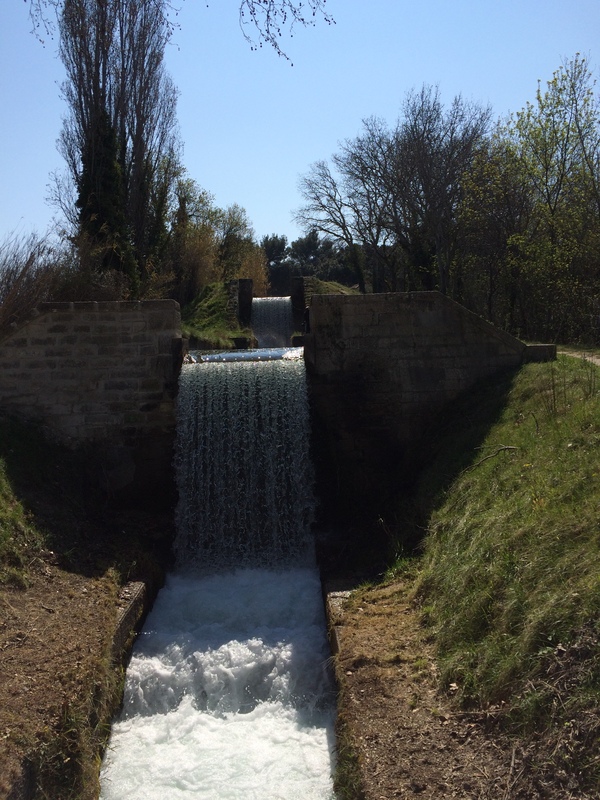 The Romans put it there to supply water to Glanum and it may have been the first vaulted (curved) dam ever built. 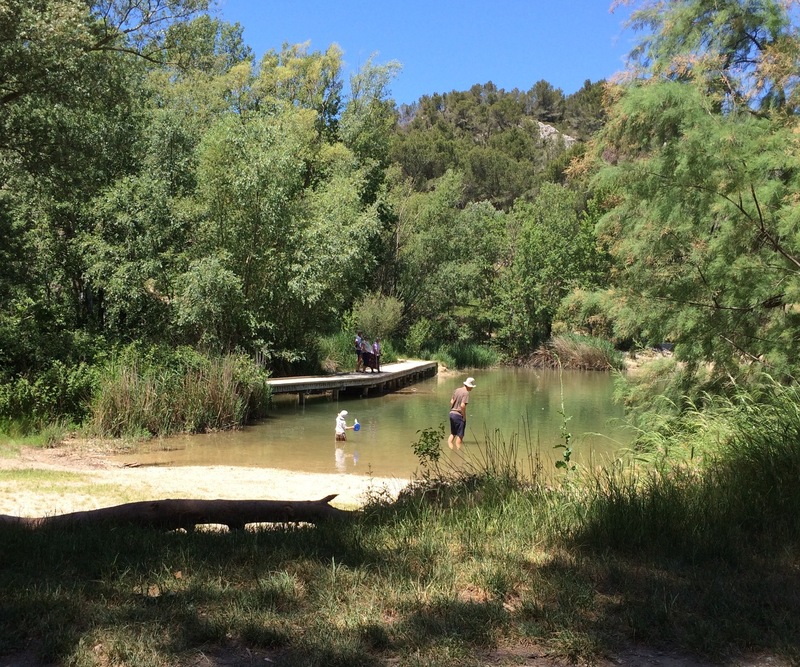 The lake has a wide, grassy area at one end, with trees that provide welcome shade on a sunny Provençal day. It’s the perfect place to spread out a blanket and enjoy a lazy afternoon. 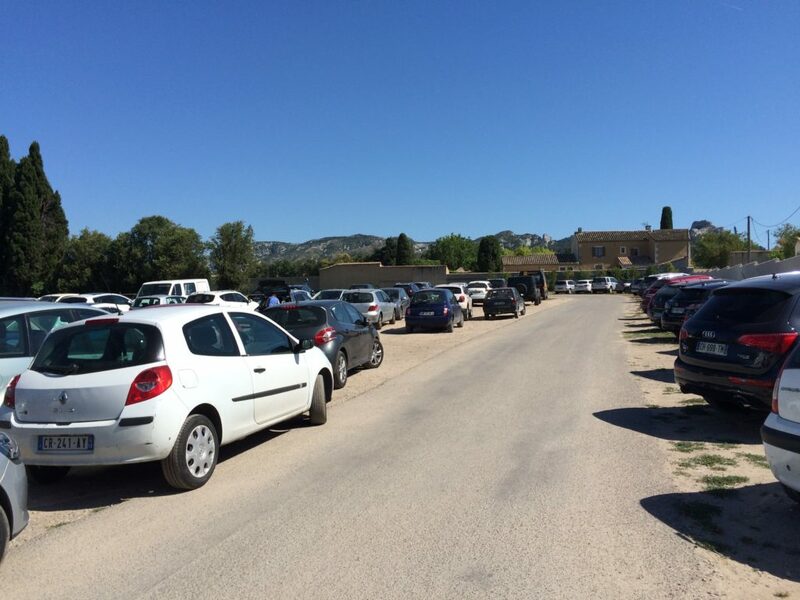 And stocking up for your picnic is easy – you can get everything you need at St.-Rémy’s Jardin des Alpilles. You can splash around in the small beach area to cool off, but don’t try catching any fish – you need a special permit for that. So just relax, read a book and think about where you are going to have dinner. Head south out of St.-Rémy in the direction of Glanum. About half a mile past the Tourist Office make a right turn onto Avenue Antoine de la Salle. 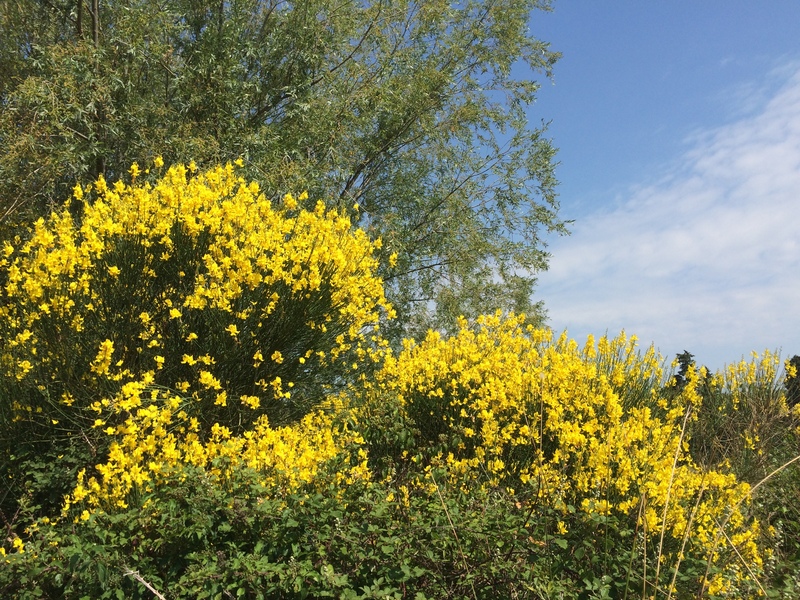 There’s a small sign marking the route to Lac du Peiroou but go slowly and look carefully because it’s easy to miss. After about a quarter of a mile, the road will fork and there won’t be any signs telling you which way to go. But have no fear! Turn left and go about 2/3 of a mile. At this point there will be a little road leading off to the left and you’ll see a small parking lot. The lake is just beyond. If you drive, be careful along the last stretch because the road is narrow and a bit twisty. 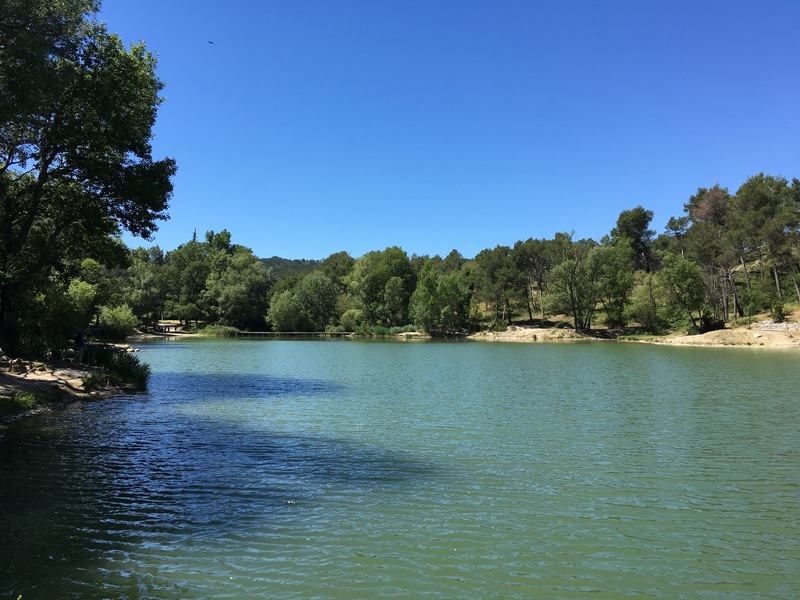 You can also bike or walk to the lake but beware – there are some hilly spots that you might want to avoid on a hot day! 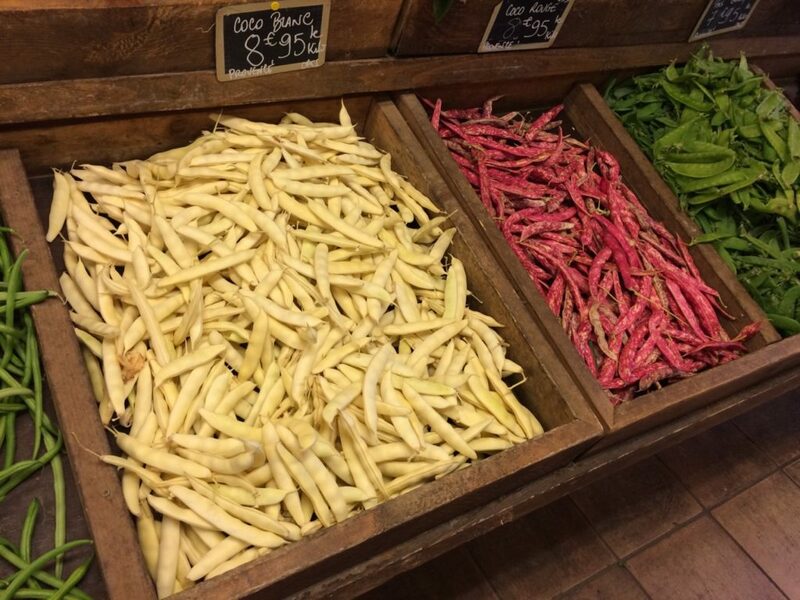 The Wednesday morning market in St.-Rémy is one of the best in Provence. And it is very popular, which makes parking a challenge. There are a few spots available in the pay lots and on the street, but they tend to fill up early. So most people have to park far from the market. This is fine on the way in, but trudging back to your car with everything you bought at the market can be a pain. Isn’t there a better way? Happily, the answer is yes, and most people don’t know about it. And it’s free! It’s a series of parking lots that you wend your way through and you can find parking even on busy market days. 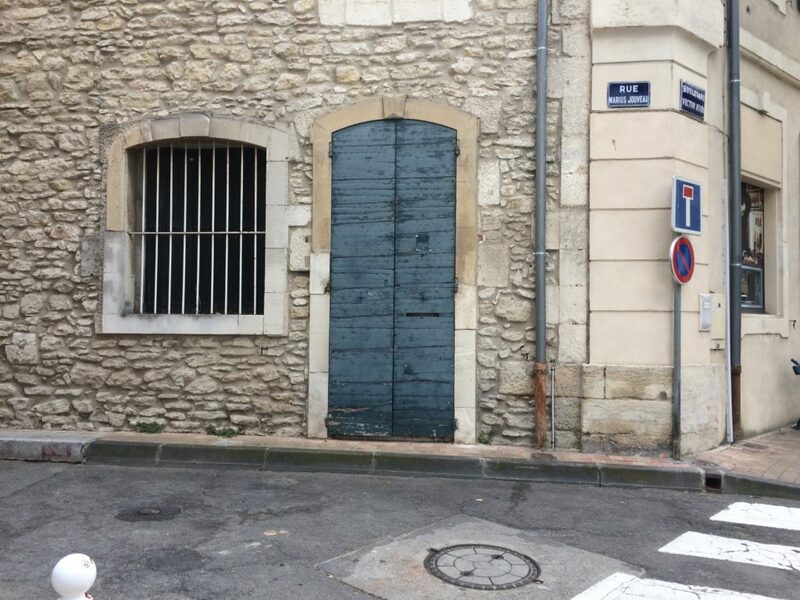 The series of lots is called Parking de la Libération. It’s on Avenue de la Libération, just off Boulevard Mirabeau. But it is not well marked and can be hard to find, even with a GPS. Here’s how to find it. If you are coming from out of town, you will probably find yourself on the D99 at some point. 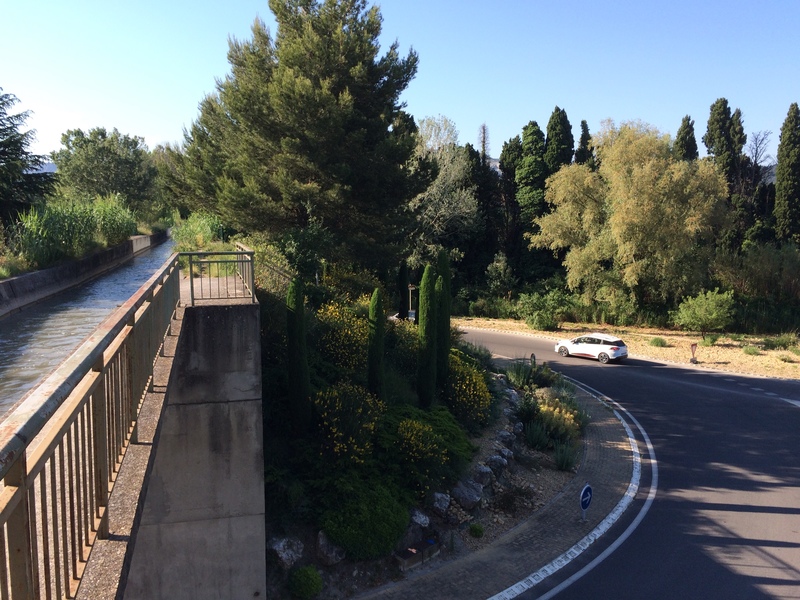 This is the East-West road between Cavaillon and Tarascon. Get off the D99 onto the D99A on the East side of town (there are two such intersections.) 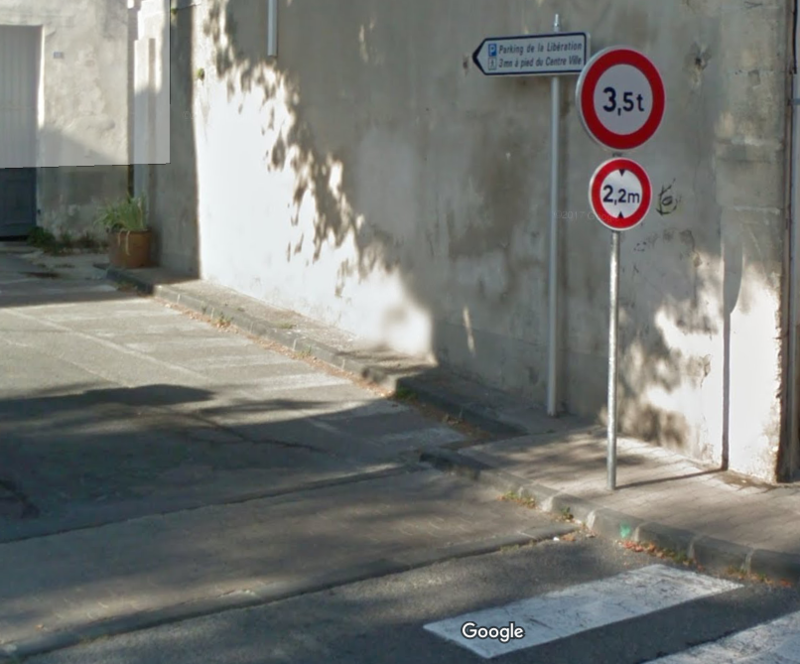 Go 1.5km, until just BEFORE you dead end onto Boulevard Mirabeau. 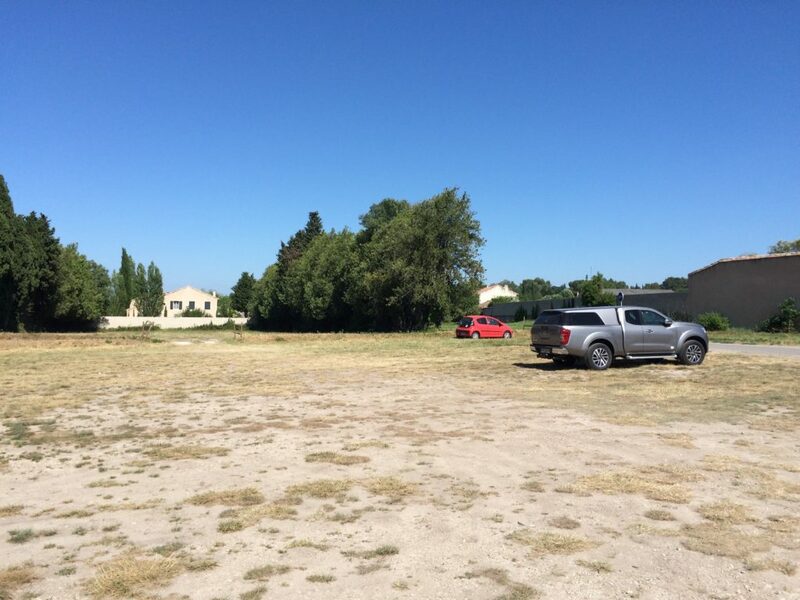 On your left will be something that looks kind of like extra space between buildings but is actually a driveway. Here’s what it looks like. Alternatively, if you are coming from St.-Rémy itself, you will probably be on the ring road that circles the downtown. It changes names several times and at one point becomes Boulevard Mirabeau. 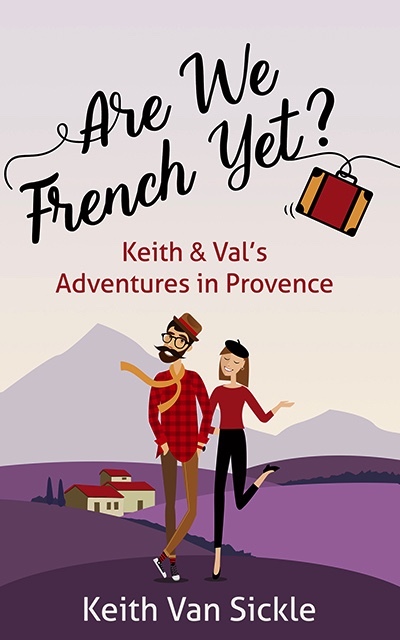 When you get there, stay in the right lane and take the exit towards Cavaillon. After 70 meters, at the crosswalk, the parking lot entry will be on your right. Go slowly or you will miss it! Here’s what it looks like. Turn right and go slowly. You’ll end up in a small parking lot that is always full. 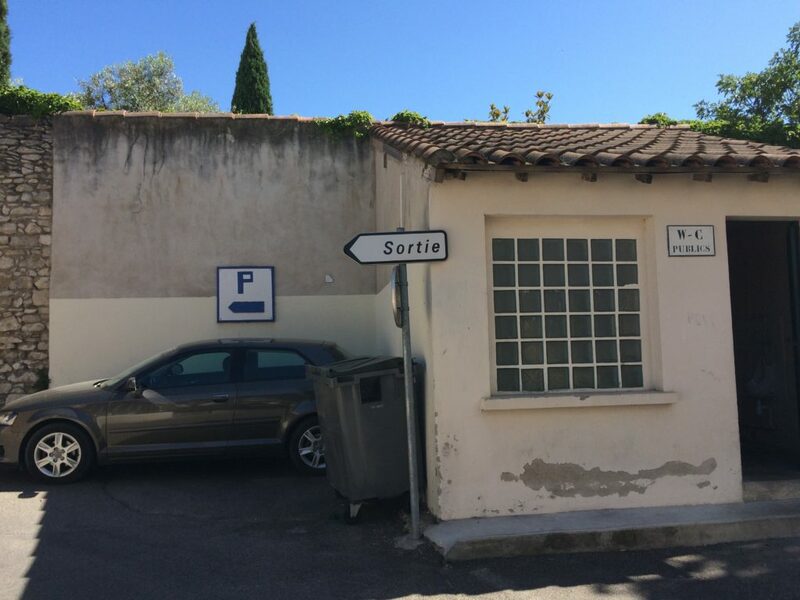 Don’t worry, go to the far end of the lot and follow the “Sortie” sign. Now you will be in a larger parking lot that is also probably full. Drive out the exit on the far side (that is, to the right as you first enter the parking lot.) As you drive through the parking lot, keep your eye out for this sign on your right – it’s the walking path into town. As you exit this second parking lot, going up a little ramp, you will enter a third parking lot that looks like the second one. On market days it is usually full. Never fear! Keep going, out the far side of this lot and up another ramp. Now you’ve hit the big lot, with lots of dirt and grass and plenty of parking. I’ve seen it get crowded but never full. You will almost certainly be able to park here. Now go back to the walking path into town and enjoy the market. But be sure to note the end of the walking path so you can find it on the way back. 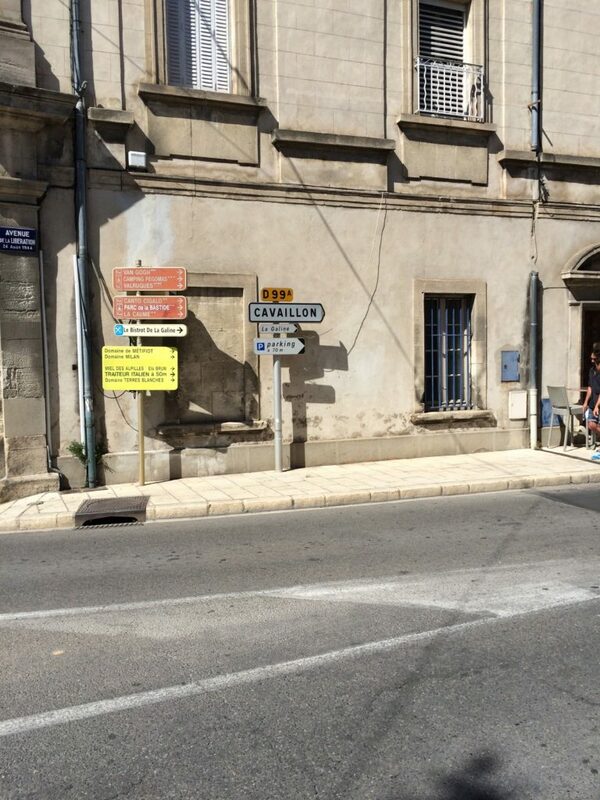 The path is on Rue Marius Jouveau and here’s what it looks like from town. When you go back to your car, don’t try to exit the way you entered, as this is a “one way” parking lot. Instead, continue on the dirt road in the parking lot to the far side and go out that way. 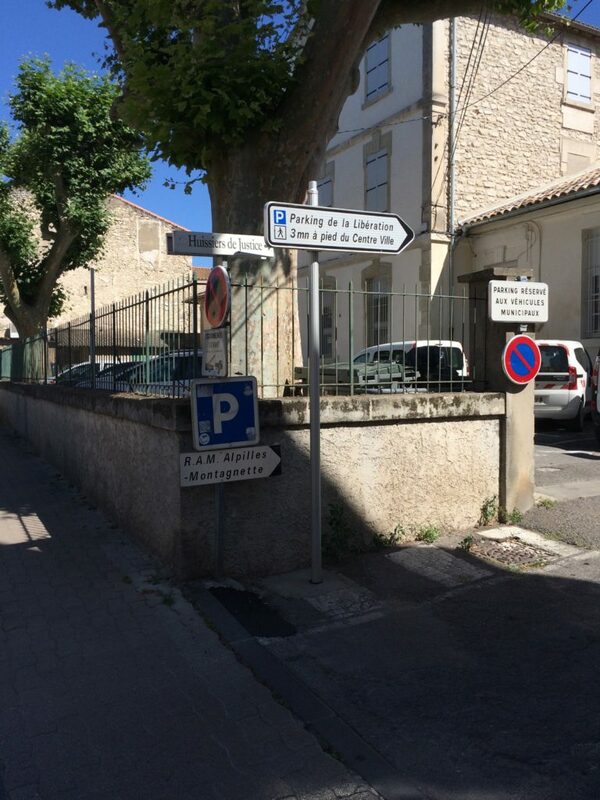 When you exit, you can go right (towards Maussane), left (back to town) or straight (other directions). If you go left, be aware that this is a narrow road with two-way traffic and periodically one car will need to stop in a wide spot to let another pass. 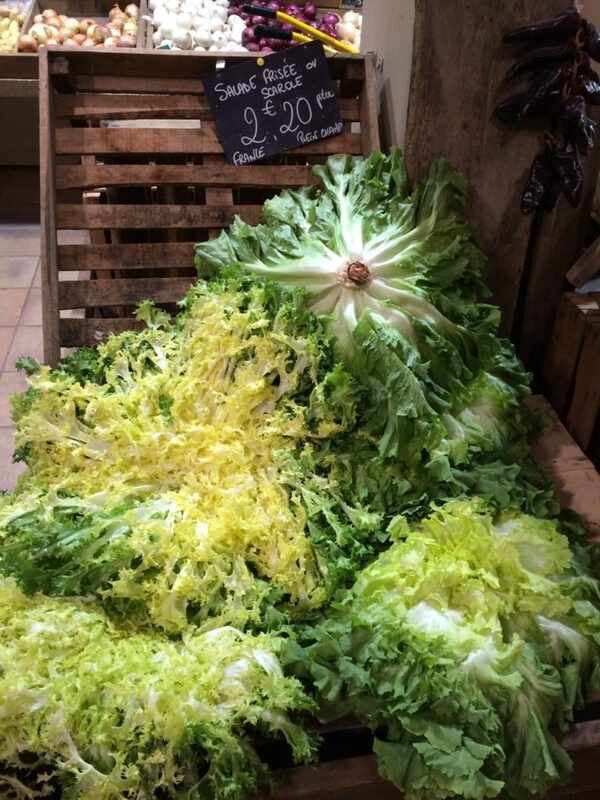 One of the glories of Provence is the fresh produce. 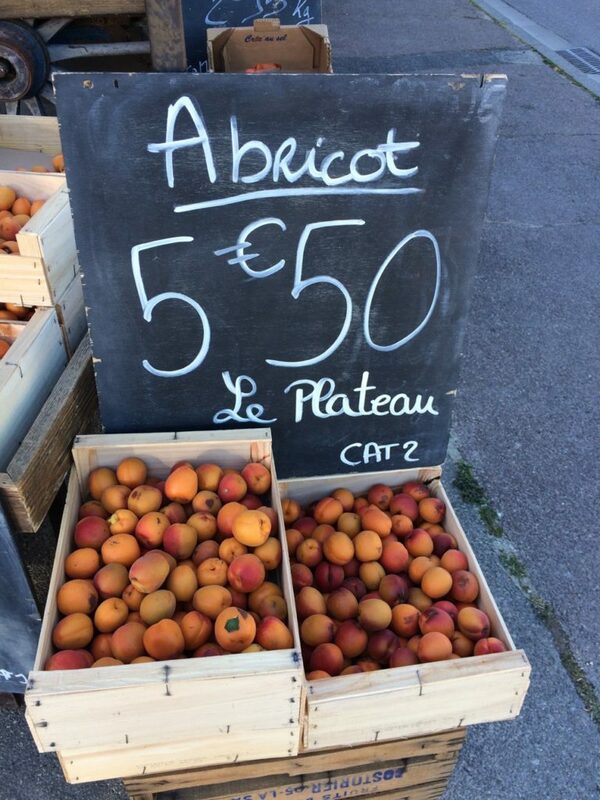 And in St.-Rémy, the best place to get it is at the Wednesday market. 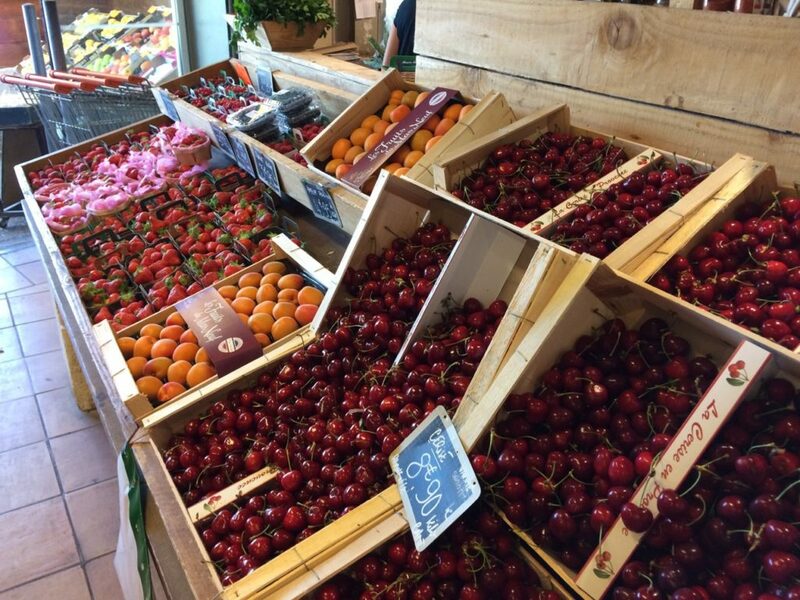 Every week, dozens of vendors set up shop throughout the charming town center, selling fruits, vegetables, olives, cheeses, lavender – you name it. 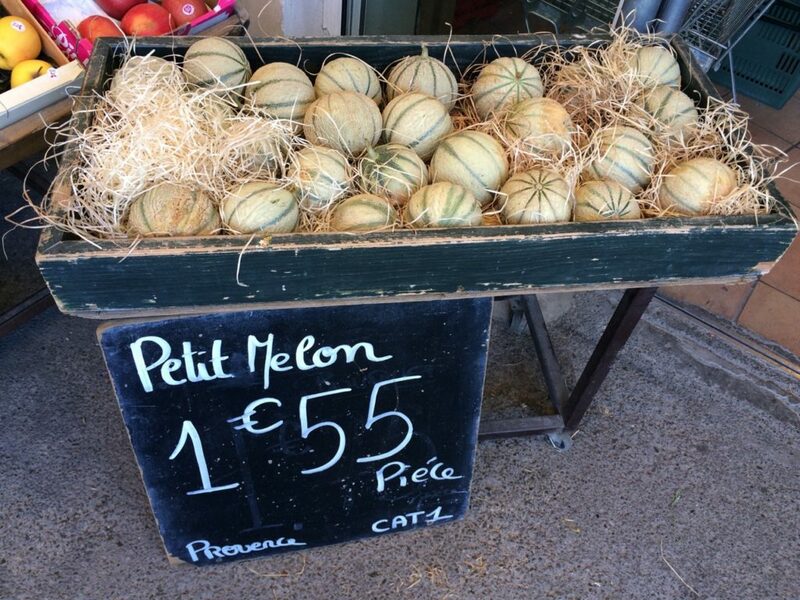 It is one of the best markets in Provence and a lot of fun. But what about the other six days of the week? 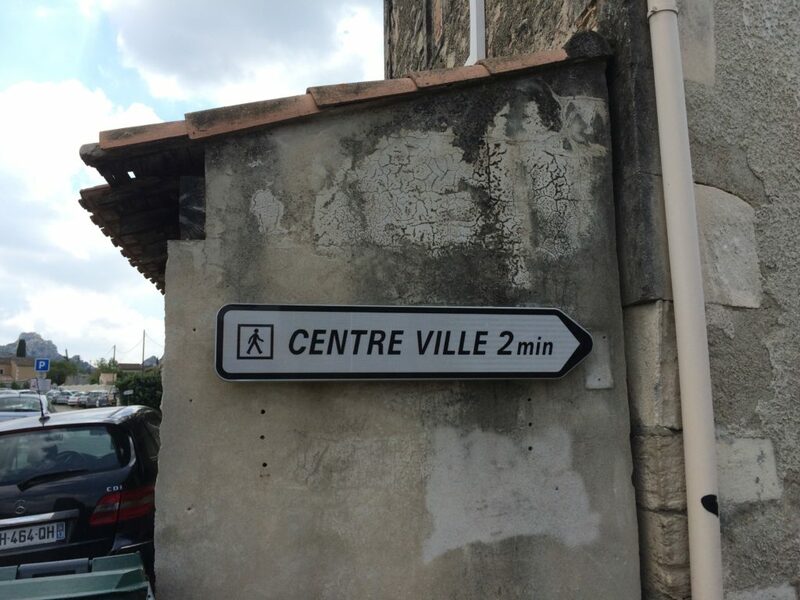 Where do the St.-Rémois shop? 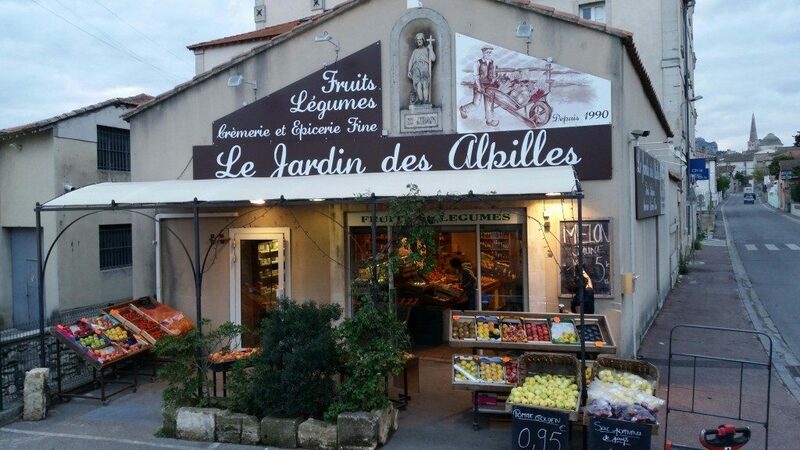 Here’s their secret – Le Jardin des Alpilles at 8 Avenue Frédéric Mistral. 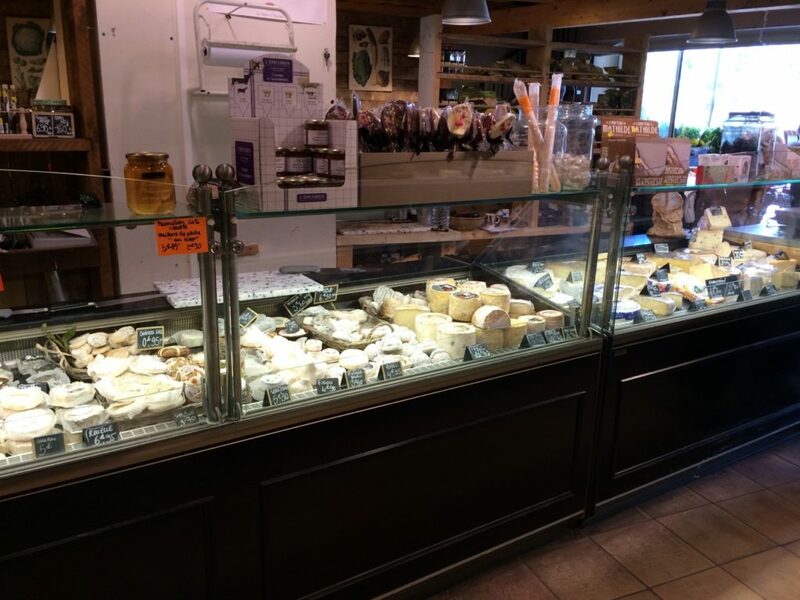 It’s an unassuming place but the produce can’t be beat, with much of it coming from local farmers. And it’s open seven days a week! We went there today and here’s some of what we found. If you are staying in a place where you can cook, or if you just want some succulent fruit to enjoy during the day, it’s a great place to stock up. 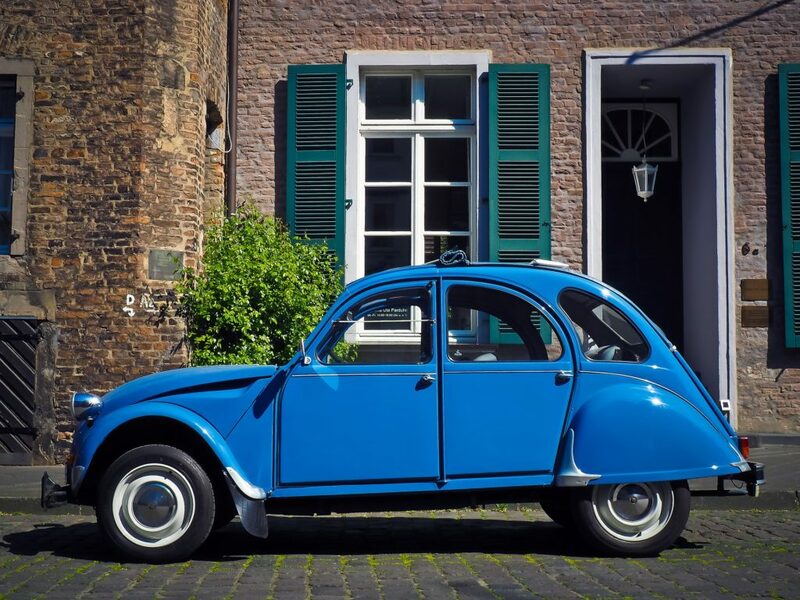 And what’s better than a picnic in Provence? 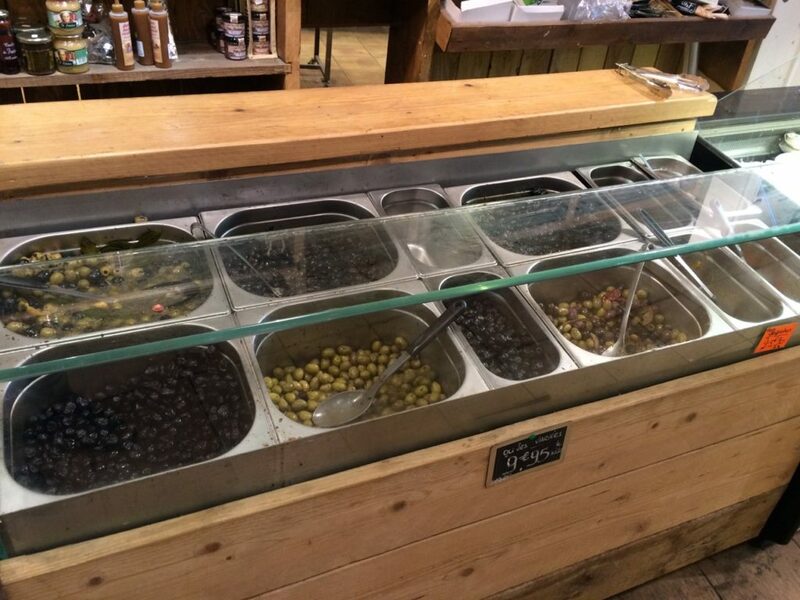 You can get everything you need here – breads, cheeses, olives, snacks and a nice selection of local wines. For those of you on the other side of the Alpillles, there is a sister store in Maussane-les-Alpilles with an equally great selection.